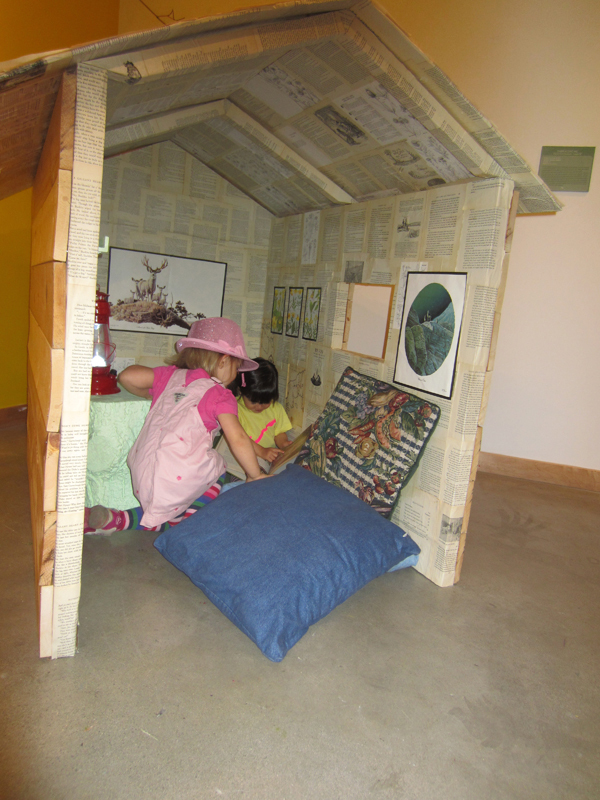 We're happy to say that you can now satisfy your need to read at the ArtStarts Gallery. 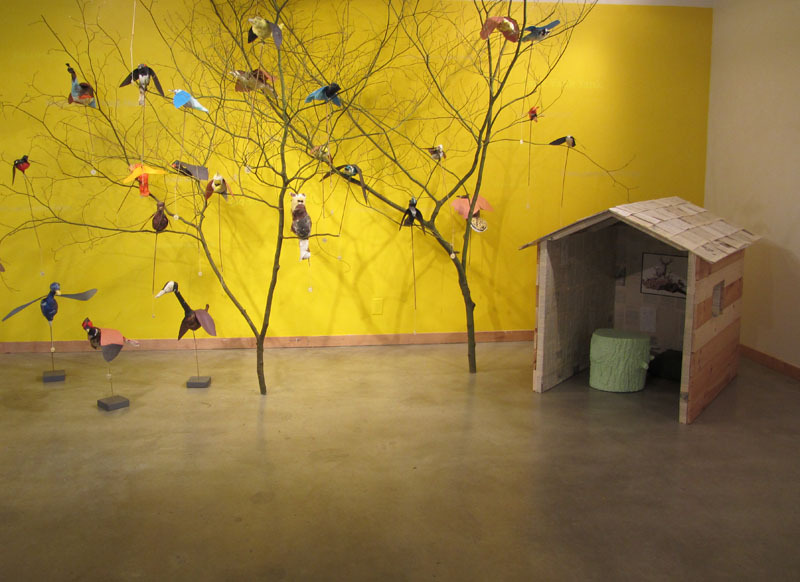 As part of the current exhibtion, Botanimalogy: Expressions of Nature, we constructed a wooden reading cabin in the Gallery. It's a pillow-lined nook where you can curl up with a good book. 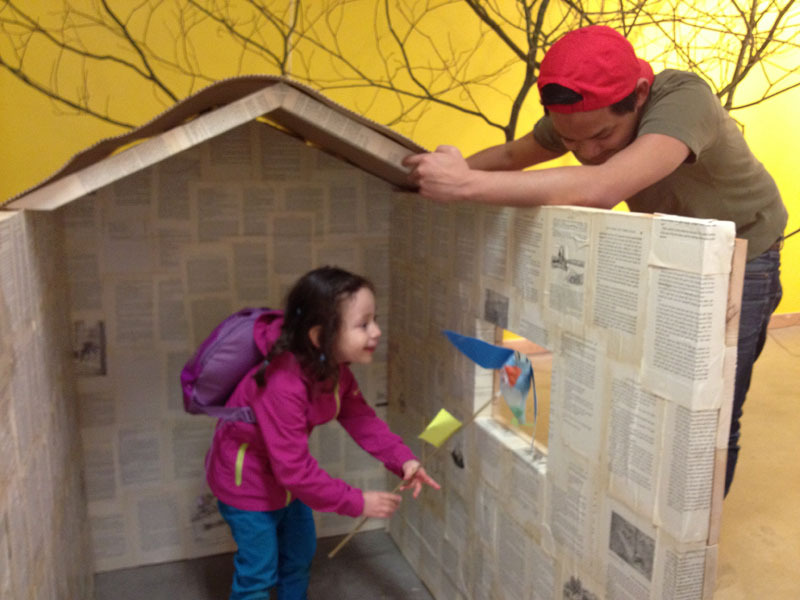 Inside the reading cabin, you'll discover a collection of miniature handmade books. Gallery visitors are also invited to explore the library located on the red wall behind our reception desk, where we have a wonderful collection of books that complement the themes explored in Botanimalogy: plants, animals and the natural world. 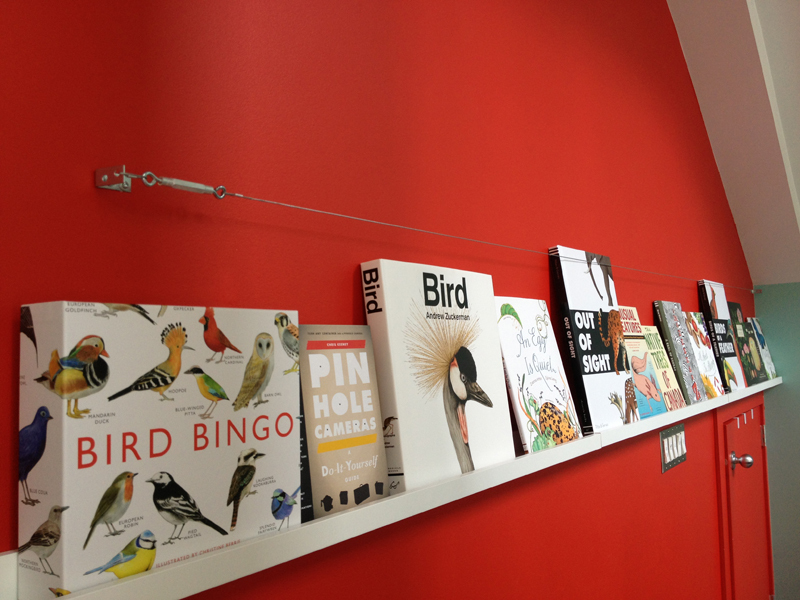 We even have a game of Bird Bingo! 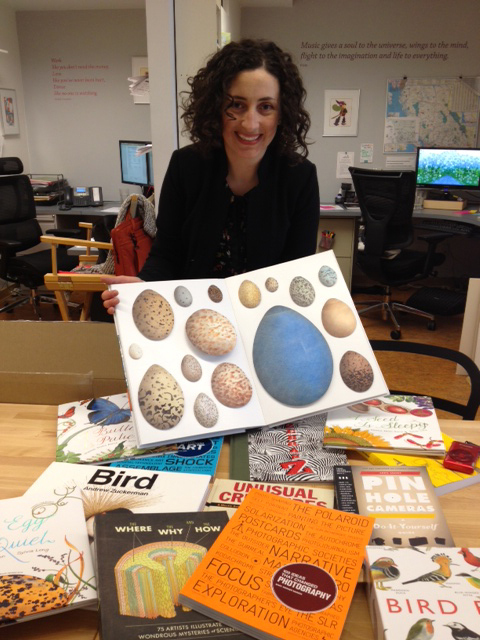 Thank you to Raincoast Books, who generously donated this amazing collection of books! 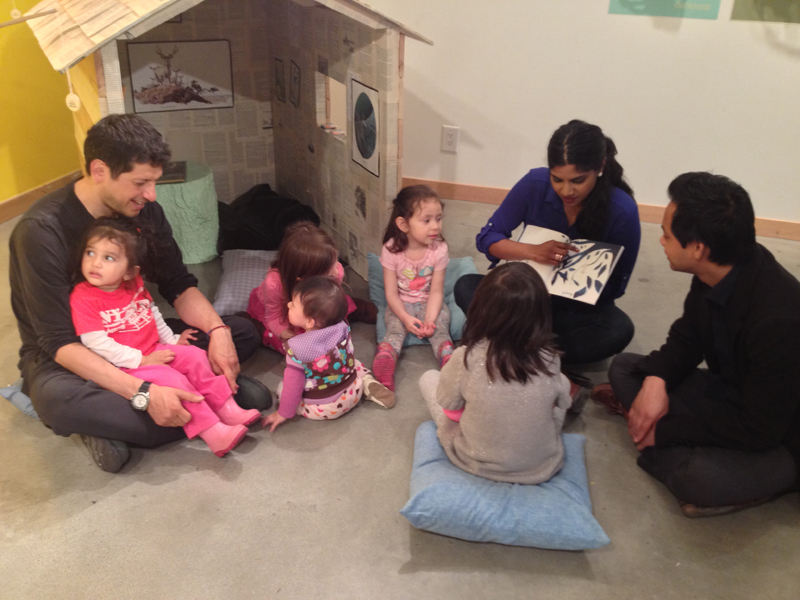 We hope you visit the ArtStarts Gallery and read with us soon! 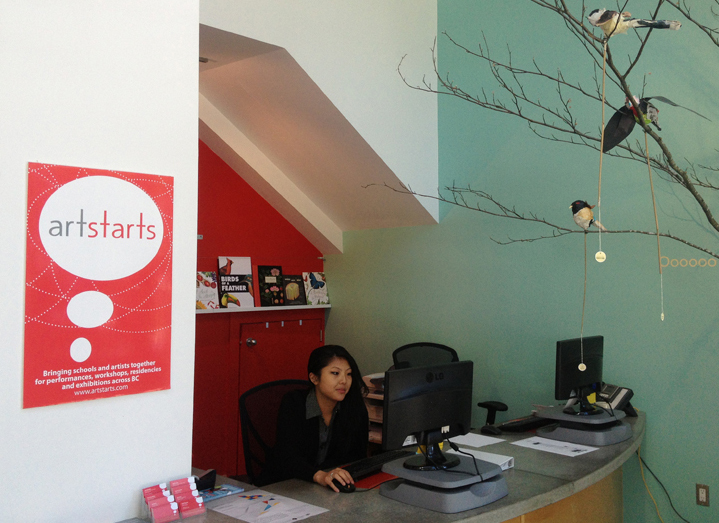 The ArtStarts Gallery is located at 808 Richards Street (at Robson) in Vancouver. 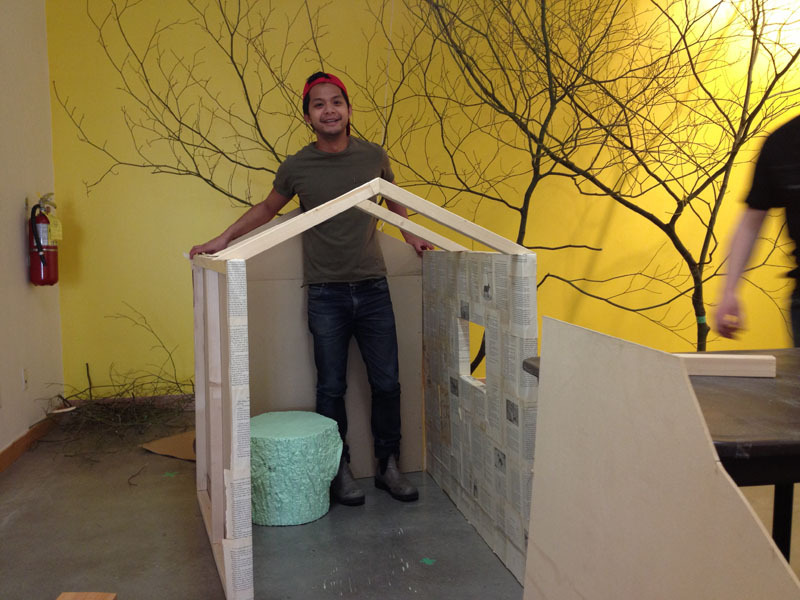 Gallery hours are Tuesdays to Fridays from 10am to 5pm and Saturdays from 10am to 4pm. Admission is free and all ages are welcome.